CMA CGM’s 5,095 TEU White Shark has been refuelled with sustainable marine bio-fuel while calling at Rotterdam as part of a trial by GoodShipping Program which includes IKEA Transport & Logistics Services, CMA CGM and the Port of Rotterdam. CMA CGM has launched its CHF30 per share bid to acquire the 67 per cent stake in CEVA Logistics that it does not already own. CEVA Logistics is to acquired the freight management business of CMA CGM, its biggest shareholder, as part of a plan to increase revenue to more than $9 billion by 2021. 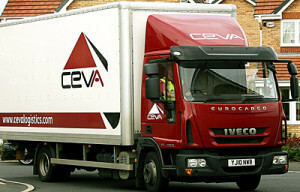 CEVA is to acquire the freight management business of CMA CGM, its largest shareholder, following the failure of DSV’s bid for the company. 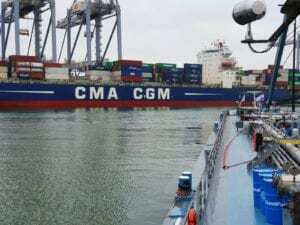 CMA CGM has increased its shareholding in CEVA Logistics to 33 per cent following the failure of DSV’s bid for the CEVA business. 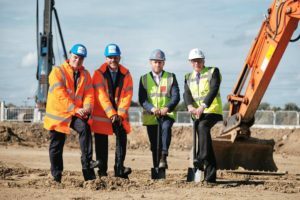 Construction has started on CMA CGM’s multi-temperature warehouse at DP World London Gateway. 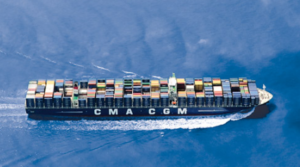 Container shipping group CMA CGM has gained full approval regarding its investment in CEVA Logistics and now a 24.99 per cent shareholder and both companies are to work together to expand commercial cooperation and develop integrated end-to-end solutions.